Nikon announced the latest update to their basic mirrorless camera, the J4. Fourth in the series, the primary changes are the addition of the 18.4mp sensor and touchscreen from the V3, which also gives the J4 1080P/60 video capability. No AA filter is over the sensor, and the camera comes with built-in WiFi that works with Nikon’s iOS and Android apps. I was particularly amused by the “a square design that reflects the minimalistic concept behind Nikon 1 cameras” line in the press release. First, it’s a rectangle, not a square. Second, apparently Nikon is now using “minimalistic” as a marketing defense against the complaints concerning the Nikon 1 user interface. 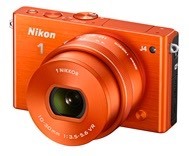 Note to Nikon: “minimalistic” doesn’t connote good or bad, it simply suggests that the camera isn’t complex. You can have good complex systems and bad minimalistic ones, and vice versa, so it’s not much of a marketing defense. Let’s see, the least expensive J camera is…wait for it…the J3. The most expensive is the J2, with the J1 in between. Really? Does that make any sense to anyone? 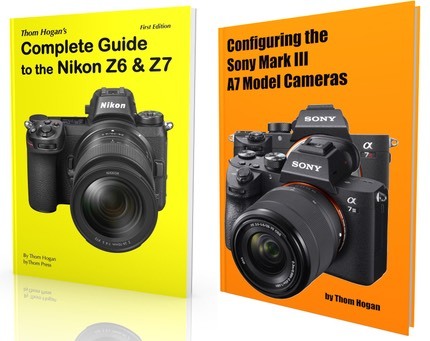 Oh, you wanted an answer to the question I posed: the J4 isn’t offered in the US because NikonUSA still has J1 and J2 and J3 models it needs to sell. Only someone seems to be pricing them so that only the J3 model will sell. Even more curious was the simultaneous announcement of new accessories for the J4: a WP-N3 underwater housing and SB-N10 underwater Speedlight. Okay, I can understand the Speedlight, as with an accessory cable it can link to the AW1. But the housing? Apparently Nikon wants to compete with itself.